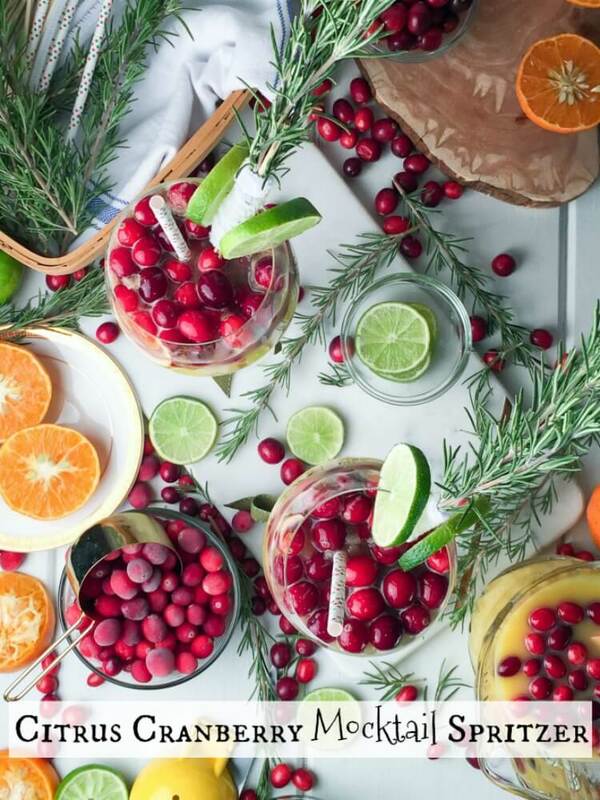 ?This Citrus Cranberry Mocktail Spritzer Recipe is so light, citrus-y and delicious complete with a holiday flair decoration! It is sure to delight ALL your senses at your next holiday gathering! Check out my FIRST Facebook Live video! Hello Everyone! We are inching closer to Christmas and New Year’s – do you have your mocktails or cocktails planned for those celebrations and gatherings? Below is my FIRST ever Facebook Live video! Check it out! It’s not going to be my last, I had a blast doing this video and look forward to doing many more. ?Do you have a request for a recipe on Life’s Little Sweets that you want me to do on Facebook Live? Let me know in the comments below!